For international eels (who are not living in Korea), you have a chance to be the official member of Jang Keun Suk Korean fanclub ‘CRI-J’ next year, too. We provide the guidance how to join CRI-J here, copying the official info. This time they provide English, Chinese and Japanese guidance on their website with screenshots in advance. So we hope it’ll be much easier for you than before. But the joining period starts on November 27th, so please don’t rush. They are not open yet. Eels can join Jang Keun Suk Official Fanclub – PrinceJKS.com to become full members of Cri-J 9. If you want to join, please check the notice below and let’s ZIKZIN with JKS in 2018 as well. *** They made the detailed guidance. You can download the word file from here, but I reposted the info for those who can’t download it. STEP1. Write your name and e-mail address. STEP2. Check the box to indicate that you accept the terms of the agreement. STEP3. Fill out the form. 8th ID, PASSWORD : If you are a 8th member and use the same ID, please click [Apply]. If you want to change your information, change the information and apply. NICKNAME : The nickname will be shown whenever you make comments at princejks.com. E-MAIL : Should be the one that you are actually using now. 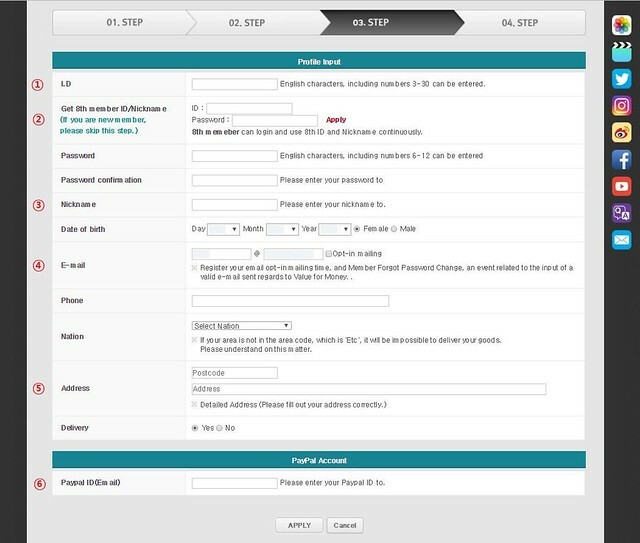 Please check the box [Opt in mailing] so that you can receive the confirmation mail from Cri J. ADDRESS : Please write the right address you actually reside in ENGLISH. PAYPAL : Please pay via PAYPAL. 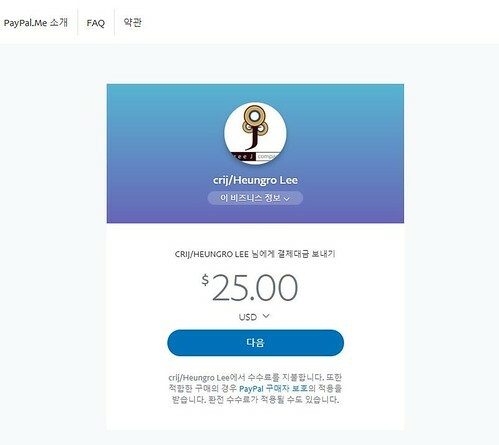 *If you don’t need PayPal ID, you can ask someone who pay instead of you. In that case, type your friend’s PayPal ID here. STEP4. Verify your e mail and make the payment. 1) Please go to your e mail and confirm your application. 2) There may be additional costs depending on the cost of shipping the membership goods. Shipping fee depends on your country. 3) Please send the  (Total) to 2017cri_j@naver.com / Heungro Lee via PAYPAL. ** Please write your NICKNAME in the MEMO. Go to princejks.com and fill out the application. // CRi J will complete your application after checking your payment. Please understand that this request may take time to complete. // The full membership goods will be sent in January all at once. 7. Things that you need to be aware of. You have to join using your own name. If you use another person’s name or a fake name to join, you cannot participate in any JKS fanclub event. If you are caught selling the fan club membership card and/or full membership goods, we will take legal actions and you will be banned from ever joining princejks.com. After becoming a member, we do not give refunds in any way, shape, or form. / We do not take questions over the phone. / Please contact us by e-mail (cri-present@naver.com) for all questions. Hi sis!How much shipping fee for each country??? Click on “The list of charges 9th” to see it. Buen dia quisiera unirme al grupo de fans de jks. So happy to be CRI-J 9.. CRI-ya haha.. I missed the deadline to join the fan club for just a few hours. Is it possible to join it after December 4th? Thanks. Never imagined that it was once a year. But I’m gonna wait. Hi, when is the opening for year 2018 to join JKS fan club? We don’t know when. Please just wait for the official announcement. I want to join to the jang geun suk’s fanclubfrom afghanistan. does i have do it? If it bepossible please say me how can i do it!